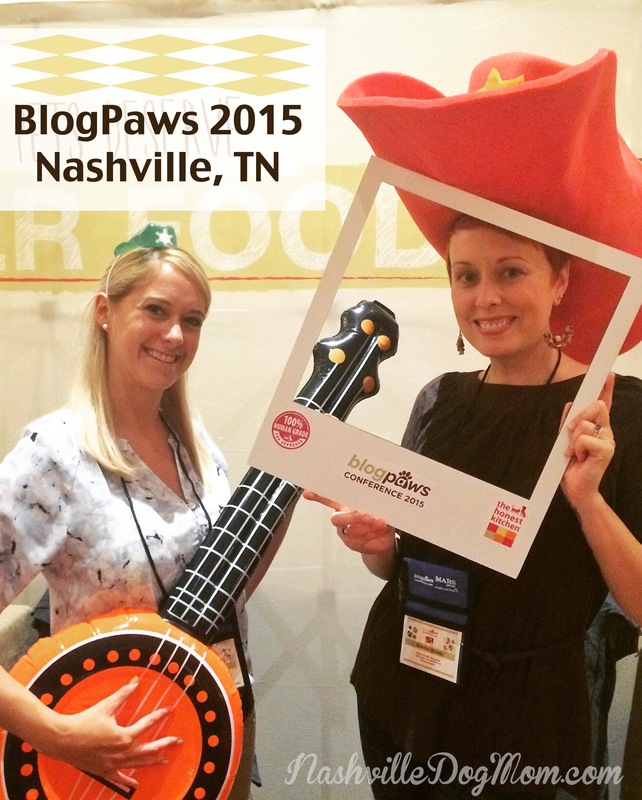 Thankfully, the 2015 Blog Paws Conference couldn’t have come at a better time. 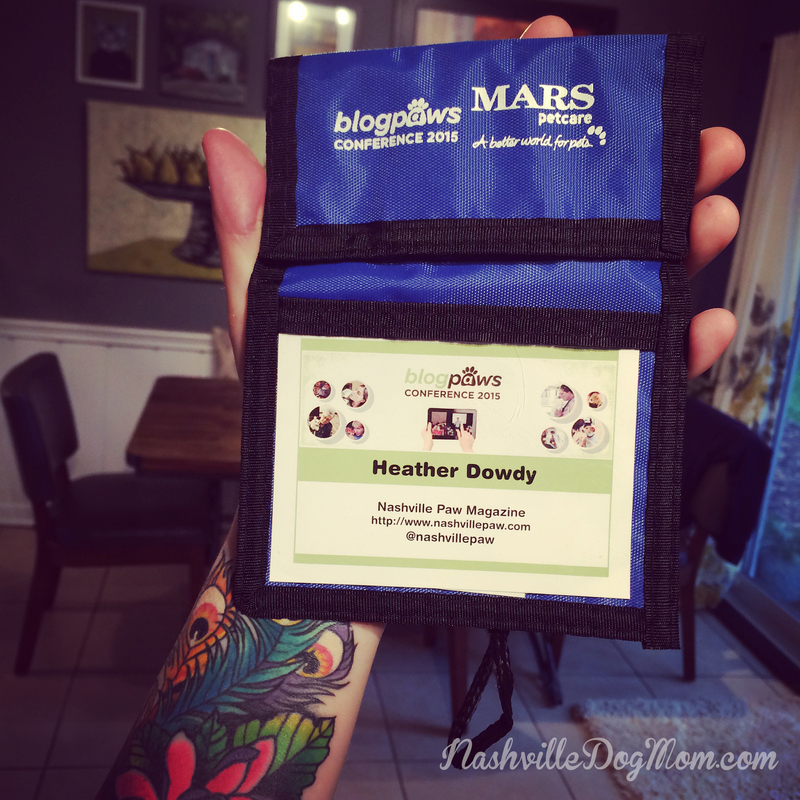 I was already venturing into the realm of a personal blog when the incredibly awesome Carol Bryant (BlogPaws PR Manager and author of Fidose of Reality) contacted me to say that the conference was coming to my hometown of Nashville this year and that they’d love for Nashville Paw to be a media sponsor. 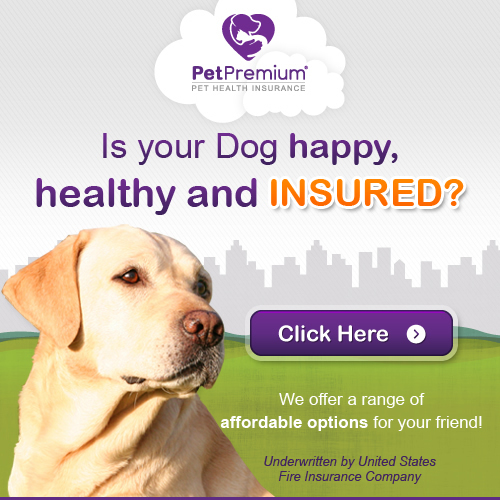 I was thrilled to partner up! 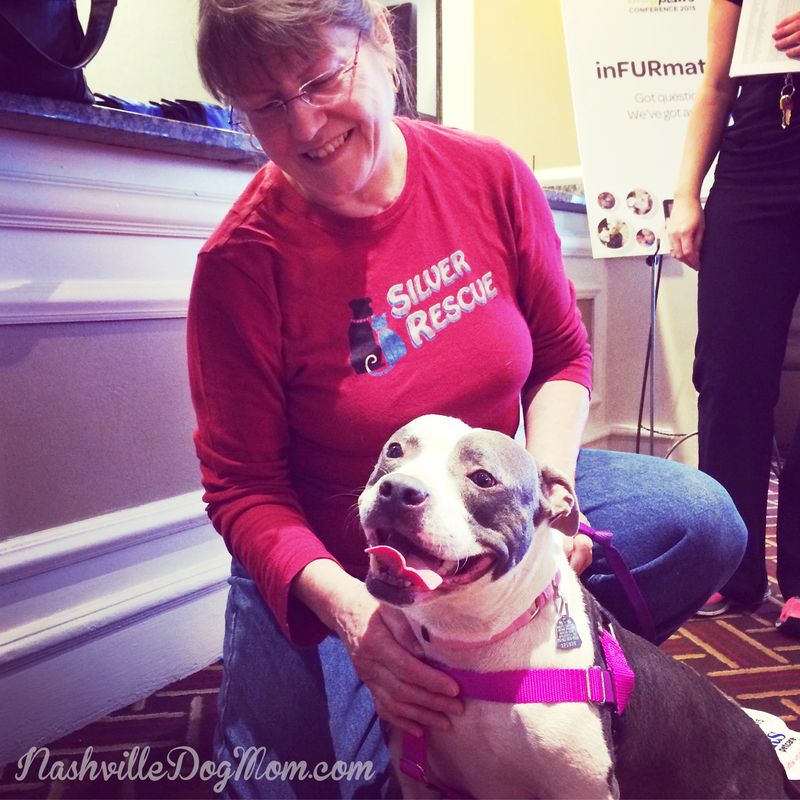 When May 28 rolled around, Rebekah and I headed to the Sheraton Music City Hotel, where we would quickly learn that being BlogPaws newbies is utterly exhausting— and also a lot of fun! Everything was amazing, from the great vegetarian and vegan friendly food and the awesome bloggers to the informative seminars and vendor exhibition space. 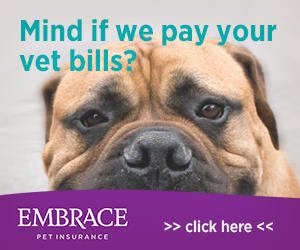 I also love that the event gives back so much to animals in need! 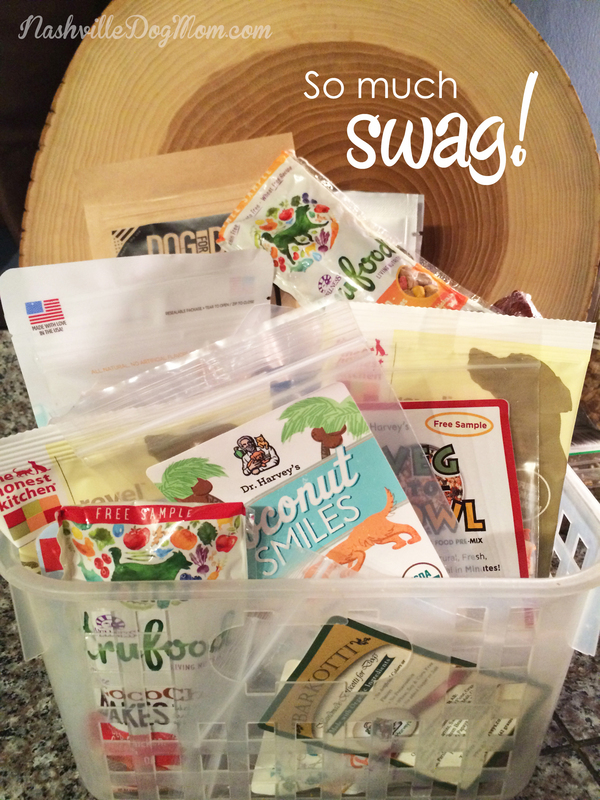 At Blog Paws, pet bloggers and pet brands unite to give back to incredibly worthy causes. This year, nearly 70 brands and 550 attendees helped to raise $18,000 for animal shelters and to donate 27,000 pounds of pet food to homeless pets, as well as $5,000 worth of other pet products. 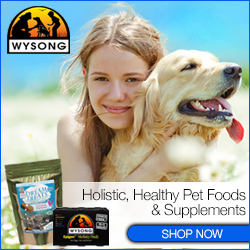 What a success for our animal friends! I also got to meet some incredible pet brands and organizations, like the Lucy Pet Foundation and their new line of pet products, which support their mission to place mobile spay and neuter clinics in cities throughout the country. (My fave cause ever!) Here I am below posing with their mascot, Surfin’ Jack — one of the chillest dogs I’ve ever met! I loved meeting so many new faces, too. 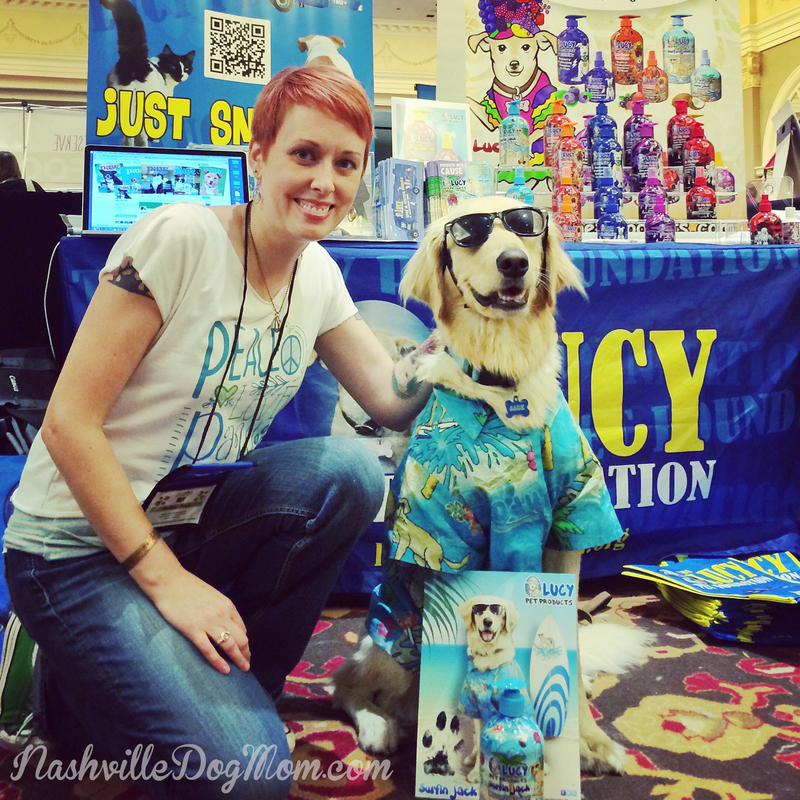 I had the pleasure of meeting some fabulous bloggers, like Bernard of Dog & His Boy. That’s us below, snapping a selfie for the #FoodShelterLove campaign to support food donations from Hills Pet to one of my favorite local rescue groups, Silver Rescue. The rescue group’s founder is also pictured below, with adoptable pup LilyBelle. (SUCH a sweetie!) I have known the rescue group’s founder, Karina McDaniel, for many a moon, and she does incredible work for dogs and cats, and especially pitties in need. Posing with Bernard from Dog & His Boy for the #FoodShelterLove campaign to support food donations from Hills Pet to one of my favorite local rescue groups, Silver Rescue. Karina McDaniel, founder of Silver Rescue, with adopt-a-bull pittie LilyBelle. 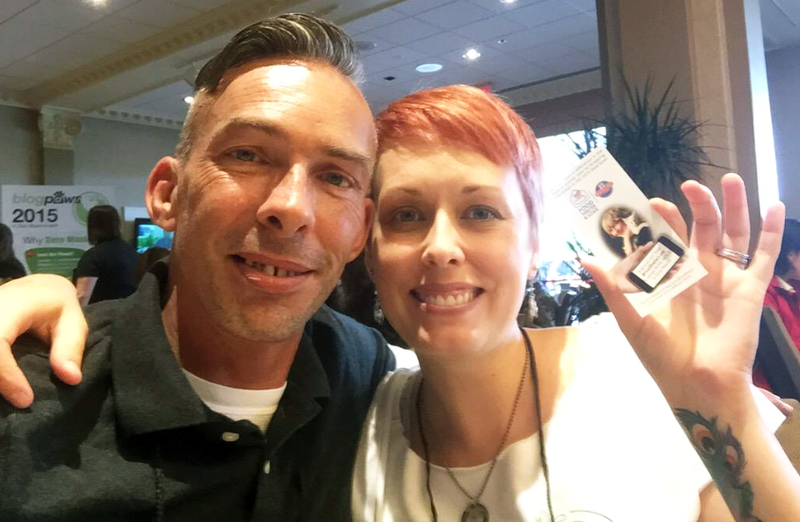 I especially had a blast hanging out with Dr. Tiffany Bierer, the pet nutritionist for Mars Petcare US, who happens to be one of my magazine’s biggest supporters! 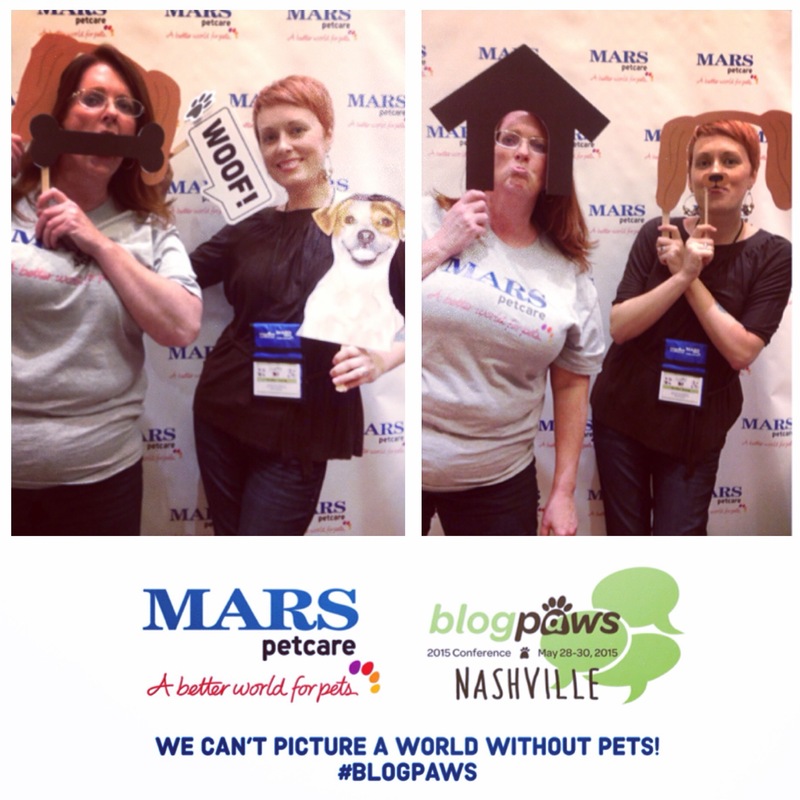 We had fun hammin’ it up in their BlogPaws photo booth. Be sure to check out my interview with Dr. Tiffany in the summer issue of Nashville Paw magazine, where we go behind the scenes of the new Mars Petcare Innovation Center and how it’s home to many shelter pets who were in need! P.S. I also met these cuties (among MANY others) and just had to share, because… ADORABLE!